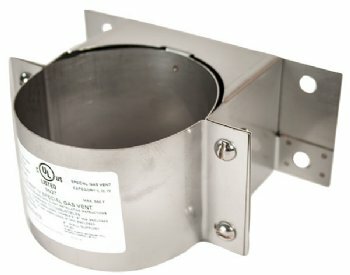 Vent supports are used to provide support to the vent system while maintaining proper clearance to combustible materials. As vertical supports are required after any 10ft run. These supports may also be used to support long horizontal runs, which require support every 6ft. Can be used on horizontal and vertical runs.